A mosaic threshold pattern was constructed completely of paper, paste, and paint on the floor of a gallery space and was an approximation of the mosaic patterning that existed on many front steps in my Chicago neighborhood. 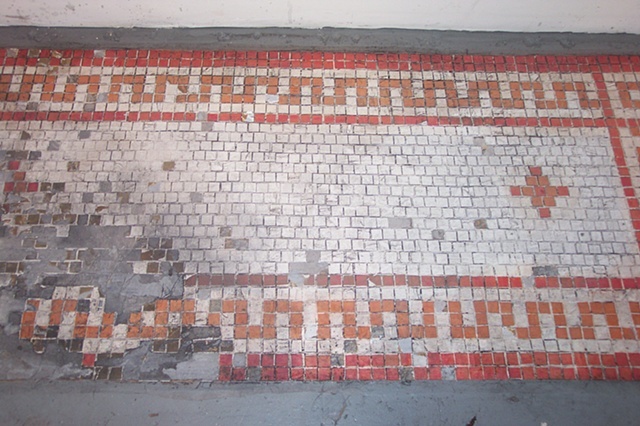 The mosaics were disappearing as buildings were torn down or renovated. At the opening, most people didnt notice the paper threshold glued to the floor, and stood on it while they looked at other work.